The massive pyramid, hidden from sight has a base four times the size of the Great Pyramid of Giza. In size, this Pyramid is compared to NINE Olympic-sized swimming pools. Researchers have no idea who built this massive structure, but legends say it was erected by Giants. While the Great Pyramid of Giza is a marvelous ancient structure which rightly holds the name of the Great Pyramid of Egypt, it isn’t the ‘greatness’ pyramid out there. In fact, there are numerous other massive pyramids scattered across the globe which just as the Great Pyramid of Giza is proof of ancient man’s ingenuity and ability. 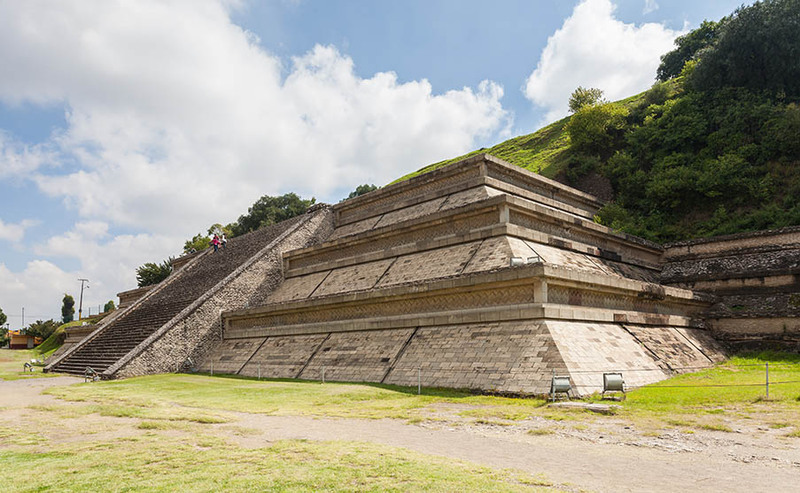 For hundreds of years, this massive pyramid located in Mexico remained hidden from sight deep inside a mountain. Hidden from society, covered by grass, trees and deep layers of soil, the Great Pyramid of Cholula is considered as the most massive monument EVER built on the surface of our planet. It is so huge that the Great Pyramid of Giza looks like an easy construction. With a base for times the size of the Great Pyramid of Giza, the Great Pyramid of Cholula is truly an impressive feat achieved in the distant past. On top of the massive pyramid, Spanish conquistadors led by Hernan Cortes built a small church on top of the hill not knowing that beneath it there was a massive Pyramid like no other on Earth. 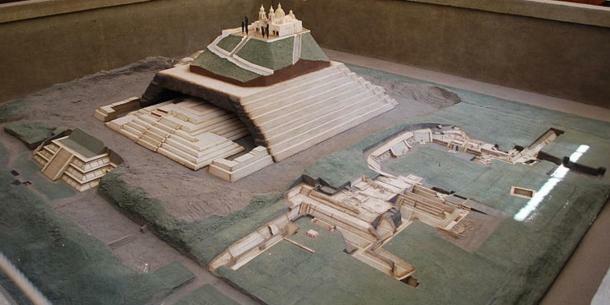 In fact, it wasn’t until 1910 that the Great Pyramid of Cholula was discovered. According to archaeologists, the Pyramid of Cholula was located in the vicinity of Tenochtitlan, one of the most important ancient cities –and capital—of the Ancient Aztec Empire. The massive Pyramid located in modern-day Puebla is 450 meters wide and 66 meters tall and is compared to the size of NINE Olympic-sized swimming pools. In other words, it is MASSIVE. Interestingly according to researchers, not only is the Great Pyramid of Cholula the LARGEST pyramid on the planet, it is believed to be the largest monument built to date. The Great Pyramid of Cholula is called by locals Tlachihualtepetl which translated means ‘man-made mountain.’ Interestingly, due to the fact that a church was built by Spanish explorers in the past, it is considered as the oldest continuously occupied structure in Central America. 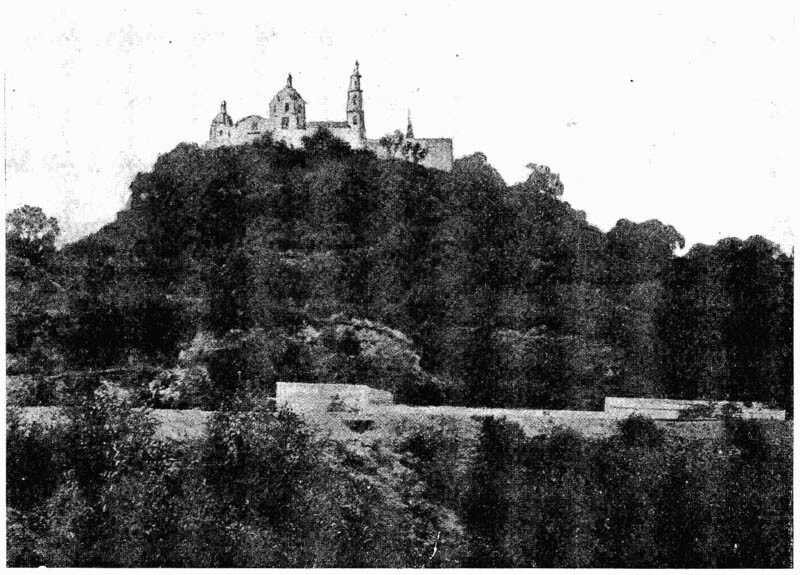 The exact age of the massive pyramid remains an enigma, but according to researchers, when Hernan Cortez and his troops arrived in Mexico, the Great Pyramid of Cholula was already thousands of years old, overgrown by vegetation. However, there are some who believe that the Great Pyramid was so sacred and important to the ancient Cholula people that they covered the Pyramid with soil on purpose in order to hide it from the Spanish Conquistadores. However, if the mere size of the Great Pyramid of Cholula isn’t fascinating, then the fact that this structure isn’t a single pyramid but six structures built on top of each other surely must be. There are still many mysteries about the Pyramid. Researchers estimate that the structure grew in different stages as diverse ancient civilizations improved various parts of it. Researchers estimate that the Great Pyramid of Cholula was erected sometime around 300 BC, but by who remains one of the central enigmas surrounding the monument. According to ancient legends, a giant being built this massive structure. Excuse me, but this comment is about the pyramid in Mexico? well, I simply LOVE the pre-columbian archtecture and constructions evrywhere in South America and offcourse especially in Mexico City too…. And then to realize how superior theuir enciant forefathers were how skilled and with marvelous buioldings and culture, how rich their traditions were… what a magnificent civilisations they has to be in order to construct such state of the art-artpieces… just baffling! !